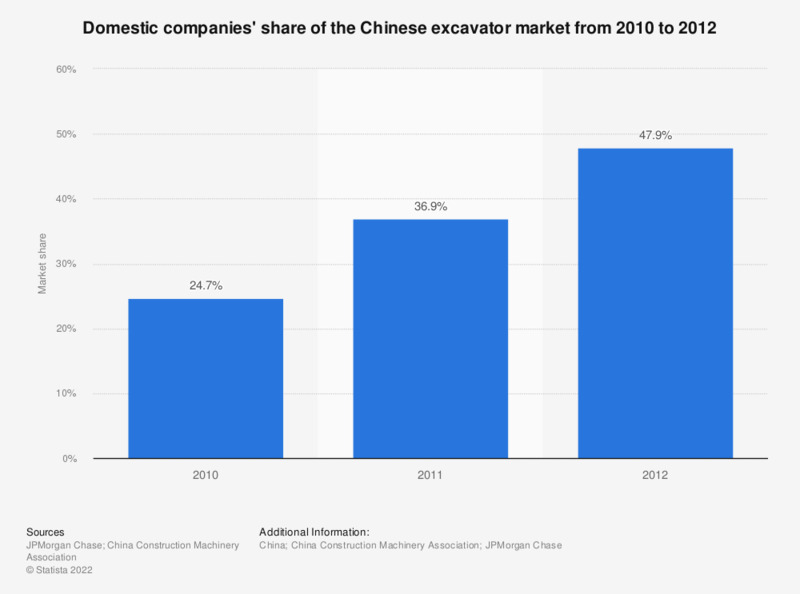 This statistic represents the market share of Chinese excavator manufacturing companies in China between 2010 and 2012. In 2012, Chinese excavator manufacturers reached a market share of just under 50 percent. Market share based on excavator sales.